Paul Walker, 40, will best be remembered by the public as the blond-haired, speed-loving, tough guy with a swagger Brian O'Conner of the successful "Fast & Furious" movie franchise. But less known is that Walker, who died in a tragic and fiery car crash on Saturday, was a Christian and had grown up in the Mormon Church. Walker was born on Sept. 12, 1973, in Glendale, Calif., and was raised up in the Church of Jesus Christ of Latter-day Saints, but he graduated from Village Christian School in Sun Valley, Calif.
"I'm a Christian now. The things that drove me crazy growing up was how everyone works at fault-finding with different religions. The people I don't understand are atheists. I go surfing and snow boarding and I'm always around nature. I look at everything and think, 'Who couldn't believe there's a God? Is all this a mistake?' It just blows me away," Walker was quoted as saying by IMDb. The late actor was a non-denominational Christian who in a GQ UK magazine interview talked about how his Christian education and Mormon background influenced his thinking about family. "It's so funny, my daughter now lives with me full time and my original plan was to work up until I was 40 then reassess my life, even go in a completely different direction with things," Walker had told GQ in an August 2013 interview. "I thought at this point in my life I would need to be home with her (16-year-old Meadow Rain Walker), but she wants me to keep acting so she can travel around the world with me. Would that be so bad? "Thing is, I went to a born-again Christian high school, was brought up in a traditional Mormon family where these ideas about parenting are of structure and sacrifice. To think outside of that idea of family and parenting that I've grown up with is tough, but also very freeing." In the same interview, the journalist asked Walker what he hoped to achieve before he died. And Walker responded by talking about his previous experience being part of the National Geographic Channel series "Expedition Great White" where he was part of a crew that caught and tagged great white sharks off the coast of Mexico. Walker majored in marine biology in college and was a great enthusiast of all things related to the ocean, including surfing. "To now be going on an expedition with National Geographic? Are you kidding me?! Where are we going? It's just one of those opportunities I had to seize," Walker had exclaimed to GQ. Walker died in a car crash in Santa Clarita, Calif., on Saturday at 3:30 p.m. PT, while riding as a passenger in his friend's Porsche. His friend who was driving also died. "When they arrived, deputies found the vehicle engulfed in flames," the local police said in a statement. "The Los Angeles County Fire Department responded, extinguished the fire and subsequently located two victims inside the vehicle. The victims were pronounced dead on the scene." A statement on Walker's official Twitter account said that he was attending a charity event Saturday afternoon for his non-profit, Reach Out Worldwide, that would benefit Filipino victims of Typhoon Haiyan. Universal Pictures, which is behind the "Fast & Furious" franchise, released the following statement: "All of us at Universal are heartbroken. Paul was truly one of the most beloved and respected members of our studio family for 14 years, and this loss is devastating to us, to everyone involved with the 'Fast and Furious' films, and to countless fans. We send our deepest and most sincere condolences to Paul's family." 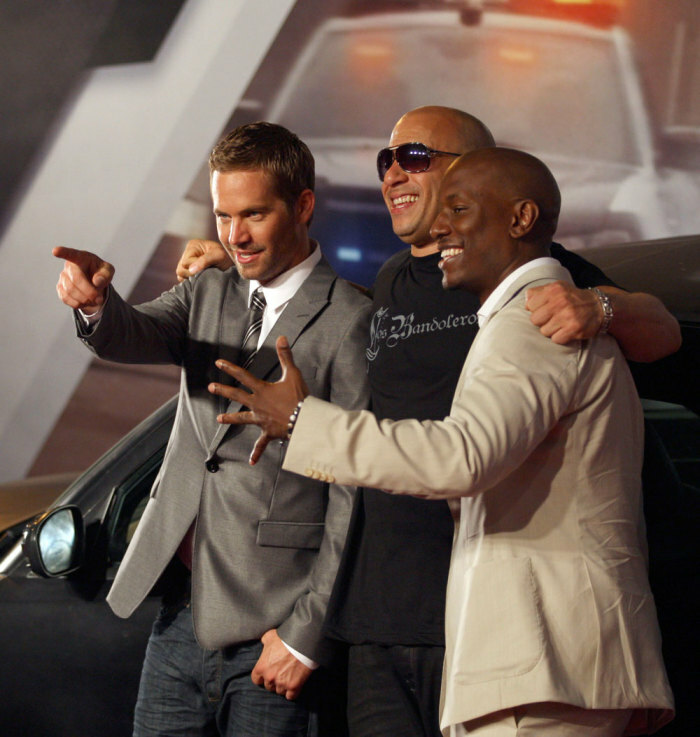 Walker was scheduled to star in the seventh installation of the "Fast & Furious" franchise, which was slated for release in July 2014. It is unclear how the seventh "Fast & Furious" movie will manage after losing one of its biggest stars that has been in six of the seven films.